In the Annual General Meeting of the European Ayurveda Association on 1st May 2017 in Frankfurt a change in the functions of the board members happened. 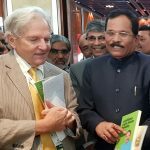 The former Vice-President Reinhard Ravidas Korn became the President and former President Dr. Harsha Gramminger is now elected as Vice-President. EUAA was established in 2007. 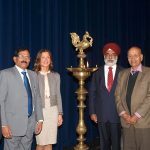 Dr. Harsha Gramminger was the Founder President and has been President to May 2017. 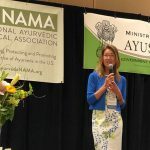 Harsha’s untiring efforts is the main reason why EUAA has become popular among Ayurveda professionals in Europe and is also a respected partner of the Indian government. She organized the first World Ayurveda Congress in Europe (EWAC) 2009 in Baden-Baden, Germany and the second one, EWAC#2 in 2016 in Koblenz also in Germany (www.ayurvedacongress.eu/en ). 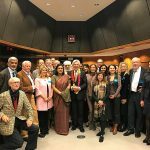 The two congresses have helped boost Ayurveda activities in Europe and strengthened EUAA’s ties with the Indian Government. Thank you Harsha for the excellent leadership which you have done as President for EUAA!